On July 17 we celebrate Wrong Way Corrigan Day. This is a day to remember to follow your dreams even if someone tells you they are impossible. It all goes back to Charles Lindbergh and his Spirit of St. Louis aircraft. We all have heard the story of Charles Lindbergh and even Lindbergh's baby but until today I had never heard of one of the mechanics on that project, Douglas Corrigan. Douglas Corrigan was an aviator and aircraft mechanic. He wanted to make his own TransAtlantic flight but didn't have the plane. So, in 1929 he bought an airplane off a trash heap and rebuilt it himself. In 1938 he set out from Los Angeles to make a cross country flight to New York where he would refuel and leave to cross the Atlantic. Apparently, according to History.com, when he got to New York and filed for a transatlantic permit the aviation authorities said no because they thought it was a suicide flight in such a beat up plane. They did say they would allow him to fly back to the west coast. 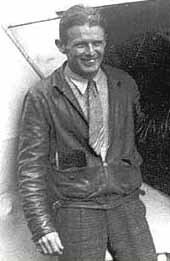 So, on the morning of July 17, 1938 Douglas Corrigan took off heading west but then shortly made a 180 degree turn and disappeared into the clouds. 28 hours later he arrived in Dublin, Ireland. When he landed he asked "Where am I" and claimed that his compass had malfunctioned and he got mixed up in the clouds and had gone the Wrong Way. He became an international celebrity. It seems like sometimes you just have to take chances to achieve your dreams.